Dr K G Umesh (MVSc, MSc (UK)) is a Postgraduate in Clinical Medicine. He has been a lecturer in clinical medicine at Vet College in Bangalore for 15 years, and has won the ‘best teacher’ award in the year 2000. He is a member of European Society for Vet Dermatology and is currently working for WALTHAM as Regional Associate for South Asia. Q: Please give me a feeding plan and quantity to feed a vegetarian diet to my five-month-old Boxer. 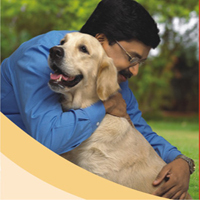 Dr KG Umesh: We all know that dogs are omnivorous, meaning they are capable of digesting and absorbing nutrients from plants as well as animals source. But it is important that the diet you feed your dog should be complete and balanced. No single ingredient/source of diet will provide all the nutrients and energy requirement of a dog. For example, cereals are rich in some vitamins but lack many nutrients required for a dog or puppy. Our research indicated that most home-made diets/foods fed to dogs in our country are inadequate and it is difficult even for an experienced breeder/pet parent to prepare balanced diet for puppies or dogs at home. 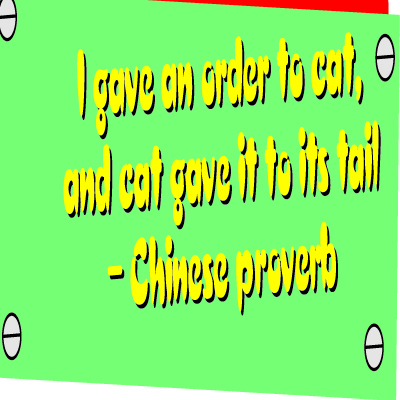 Therefore, consult your vet who will help you to design a balanced diet using safe ingredients (considering your pet’s body weight and condition). Other option is to feed the vegetarian complete pet food from a reputed manufacturer. Q: My six-month-old Labrador loves to chew and keeps picking up small things and chasing. How do I ensure that he does not swallow any object? Dr KG Umesh: It is normal for puppies to be ‘mouthie’. Most chewing behaviour is seen in young puppies due to their strong desire to explore. As dogs mature, this desire decreases and they are less likely to be destructive. This type of behaviour may start after a change in the dog’s routine or as a result of boredom. The dog will find it hard to distinguish between what it can and cannot chew; therefore having their own toys will help define suitable chewing items. Make sure the chew is large enough so that your dog can’t fit it completely into his mouth. When your puppy does any inappropriate behaviour, stop it immediately by telling the pup ‘No’ and distract his attention with a toy/chew. Puppies want to make their pet parents happy and you need to help them by your voice tone when they are being good. Exercise and play with your dog regularly to alleviate excess energy and provide positive interaction and most importantly reward your dog with praise for chewing on appropriate items. Q: We want to bring home a pup. Please advice how do I ensure that we get a healthy pup. Dr KG Umesh: Dogs come in a variety of different shapes and sizes, all with different characters and temperaments. Consider your own environment and the characteristics of your chosen breed and try to match up the two. The best place to obtain a pedigree puppy is from a recognised and reputable breeder. You may find breeders through other pet parents, your veterinarian, advertisements in newspapers and dog magazines or by visiting dog shows. You may also find a dog through one of the breed rescue societies or you may know someone whose female-dog recently had a litter. The risk of disease and stress-induced illness is greater for a puppy if you buy from a dealer who has bought in puppies from several sources (puppy farms). It is always best to see the mother if you are buying a puppy so you can check that she is healthy and has a good temperament. Don’t buy a puppy which is less than six weeks of age. Show the puppy to your vet before you bring him home. Q: Pia, my seven-year-old female Pomeranian, is suffering from jaundice. She is under vet care. Do advice what precautions to take so she does not get a relapse and determine that her liver is strong. Dr KG Umesh: If you have medications recommended or prescribed, continue them until otherwise directed. Do not stop just because symptoms are subsiding or your dog seems better, since it is often the medication that is helping. If you notice persistent signs or symptoms, worsening of such symptoms if they were already present or new symptoms, your veterinarian should be aware of them. They may not all go away after starting treatment, but they should improve. Weakness, poor appetite, abnormal behaviour or mental dullness, bleeding of any kind, swelling of any kind, distended belly, difficulty in breathing, increased drinking/urination, vomiting, or excessive drooling are some of the signs or symptoms that can occur due to liver diseases. Routine follow-up will be determined by your veterinarian and frequent rechecks/blood tests and adjustments of medication may be necessary, depending on your pet’s specific symptoms and severity of disease. Your veterinarian can suggest a prescription diet (dry or canned) or can give you a list of suitable ingredients to create a balanced diet if you wish to make it yourself at home. Q: Posto, my Bernard, has developed a lump on his elbow, which is making it difficult for him to sit. What should I do? Dr KG Umesh: Large breeds commonly develop a non-painful, fluid-filled swelling (Hygroma) under the skin that commonly develop on elbow joint. Generally they do not pose a problem for the dog unless infected. Periodical aspiration, inserting a drainage and surgical removal of hygroma are some of the treatment options. The hygroma in dog is believed to be caused by repeated trauma on the skin over bony prominences, particularly in large/heavy breeds lying on hard surfaces. Therefore, prevent further trauma on elbow by providing soft padding over the elbow and avoid hard surfaces. There are also commercial products (elbow caps) available for protecting the elbows and for dogs with hygromas. Ask your vet. BOW WOWs for canine stars! Prevention is always better than cure!